VIZ Media Announces "Sailor Moon SuperS Set 1"
VIZ Media Announces Release of "Sailor Moon S Part 2"
VIZ Media, LLC (VIZ Media), a premier company in the fields of publishing, animation distribution, and global entertainment licensing, announces the release of the third SAILOR MOON film, SAILOR MOON SUPERS: THE MOVIE on February 12th, 2019. SAILOR MOON SUPERS: THE MOVIE will debut as a Blu-ray/DVD Combo Pack and as a Standard Edition DVD Set. The Combo Pack will carry an MSRP of $29.98 U.S. / $34.99 CAN; the Standard Edition DVD Set will carry an MSRP of $19.98 U.S. / $24.99 CAN. Around the world, children are disappearing – and the culprits are not of this world! The evil Queen Badiane plots to trap Earth in a dark energy field called the Black Dream Hole, powered by the sweet sugar energy produced from the dreams of children. Meanwhile, Chibi-Usa befriends Perle, a new kid who seems to have grown fond of the town's warm and friendly atmosphere. Their peace is short-lived when the town's children, including Chibi-Usa, start sleepwalking out of their homes! Sailor Moon, Perle and Sailor Guardians must now fight to save the lost children before the enemy can place the world into an eternal sleep that's definitely not sweet! Bonus features for the Blu-ray/DVD Combo Pack include the “Ami’s First Love” featurette along with exclusive English voice cast interviews and English credits. The film is presented in crisp 1080p HD resolution. Bonus features for the Standard Edition DVD Set also include the featurette and English credits. 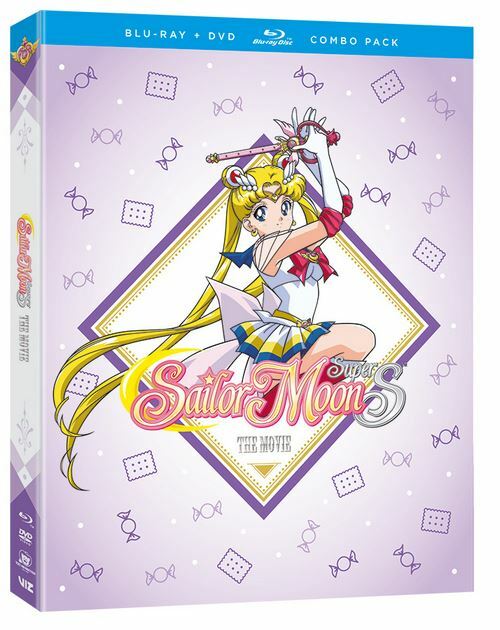 Audiences are invited to enjoy the first two SAILOR MOON feature films, the SAILOR MOON anime series as well as SAILOR MOON CRYSTAL, which are now available from VIZ Media as Limited Edition Blu-ray/DVD Combo Packs and multi-disc Standard Edition DVD Sets.